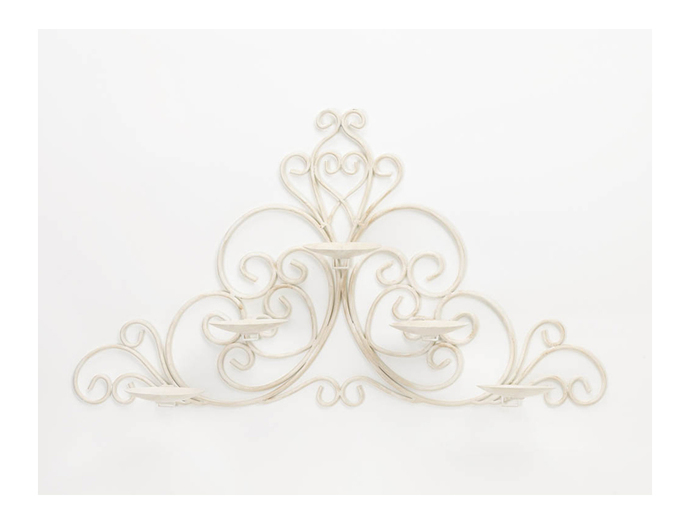 This stunning candle wall sconce is beautifully created from curled iron rods that bend and flourish with timeless style, covered in a vintage white hue. With five platforms for the candles of your choice, you can hang this pretty accent on your wall and it will light up the whole room with style even when the candles aren't lit. Dimension: 26 1/4"L x 5 1/2"W x 14"H.